The device is our New Sole design COFDM transmitter and receiver KP-C10. Has a character of Walkie Talkie functio,long range remote control and more intuitive as well natural. Use H.264 coding format and COFDM (coded orthogonal frequency division multiplexing) modulation. Provide high quality of picture in resolution 720*576, short latency. Support NLOS and high speed mobile transmission.Support parameters adjusted by user. PAL/NTSC video format self- adaption and good anti-intereference. 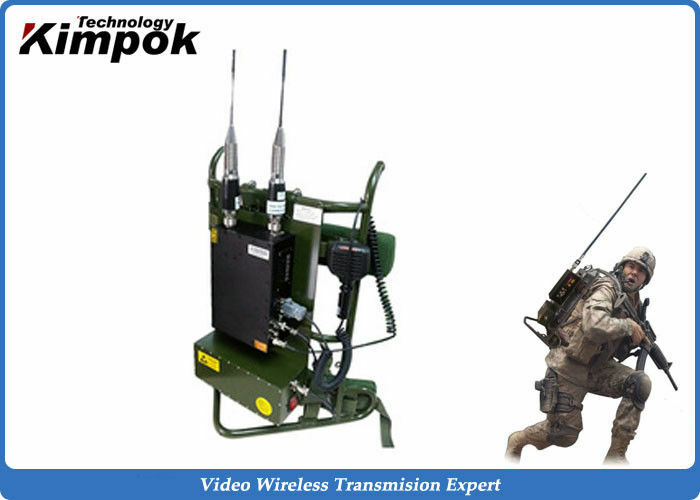 This special designed system is for long range distance for military use, it is also popular to use in other fields for live broadcast video audio transmission. can be adjustable by user,100MHz interval. 2*antennas (customized); RF cables and mounted kits.